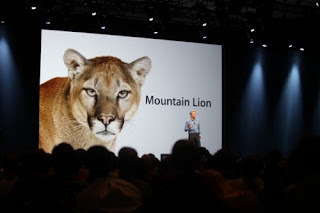 OS X Mountain Lion is the most popular desktop operating system that comes up with more than 200 features like iCloud,iChat etc and is introduced by Apple. Through iCloud, account dates can be easily accessed across all devices and it is easier to set up your mail, contacts, calendar, messages, reminders and notes. OS X Mountain Lion has new message applications iChat and iMessage so that we can easily send messages to anyone with an iPhone, iPad, iPod touch or any other Mac device. Attachments, high quality photos and HD video can also be added and iMessages keeps the track of all the devices so you are able to do a conversation from wherever you have left. iMessage includes group messaging, delivery and read receipts, typing indicators and secure end-to-end encryption techniques. The Messages app also supports instant messaging services, including AIM, Yahoo, Google Talk and many more. iCloud: It keeps the content up to date for every device used by you. Messages: It sends unlimited messages to iPhone, iPad, iPod touch, or Mac from your Mac device. Sharing: Posting on Facebook, Twitter, Flickr, and Vimeo directly from the application you are using.